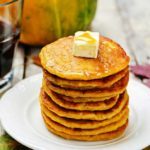 EASY FLUFFY Pumpkin Pancakes recipe! These delicious extra fluffy pancakes made from scratch are low carb and packed with protein (1/2 cup pumpkin!). They make a healthy substitution instead of buttermilk pancakes. My family considers them “the best pumpkin pancakes in the world!”. I know you’re probably thinking “Isn’t NYC in a snowstorm right now, but yet you’re posting a pumpkin recipe?”. You’re right. NYC is under a blanket of beautiful white snow. And I still have over 100 pounds of pumpkins from the Fall garden decorating my apartment. Can you believe it? We have big pumpkins, pie size, and munchkins sprawled out all over the apartment just like it was still Halloween. I have to clear a few out as they go bad, but at this rate I think I’m good to go with fresh pumpkins for at least the next few months! If you don’t have any fresh pumpkins lying around don’t worry. 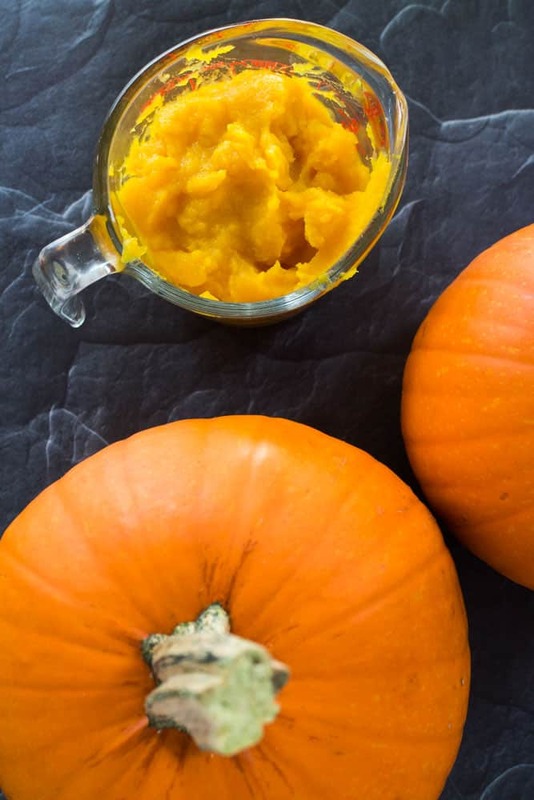 You can use frozen pumpkin puree that you kept from your Fall pumpkins (remember how easy it is to make?) or you can use canned pumpkin from the store. 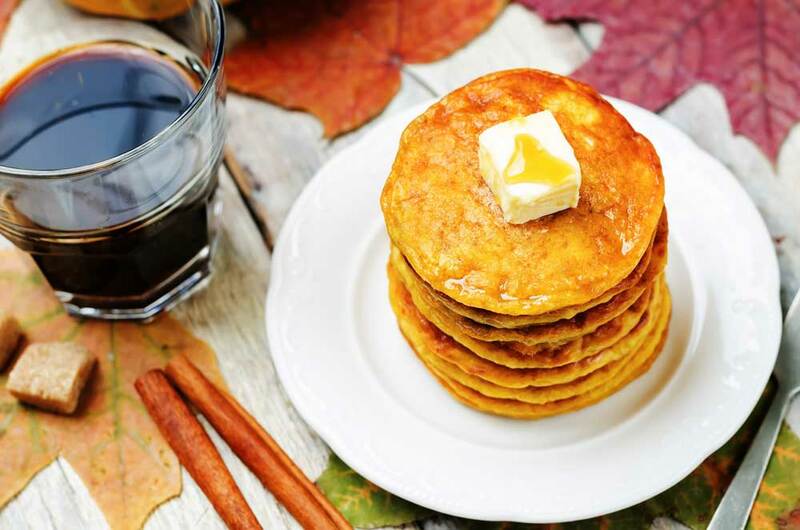 Being a girl who loves pumpkin year round and doesn’t believe that pumpkin only needs to be celebrated in the Fall I wanted to bake up a pumpkin breakfast to satisfy my pancake craving I’ve been having (hello baby!). Pumpkin pancakes are one of those foods that are near perfection for me. These pancakes are so light and fluffy! If you’ve gone to a local restaurant or bakery in the Fall you’ve probably seen the special limited edition “Pumpkin Pancakes” signs. You better get them quick before they’re gone! But these pancakes are so easy to make with ingredients that can be used year around, that you won’t have to wait until Fall – you can make them now! Throw a little dab of butter on top, definitely add some maple syrup and you have the perfect breakfast (or dinner!). 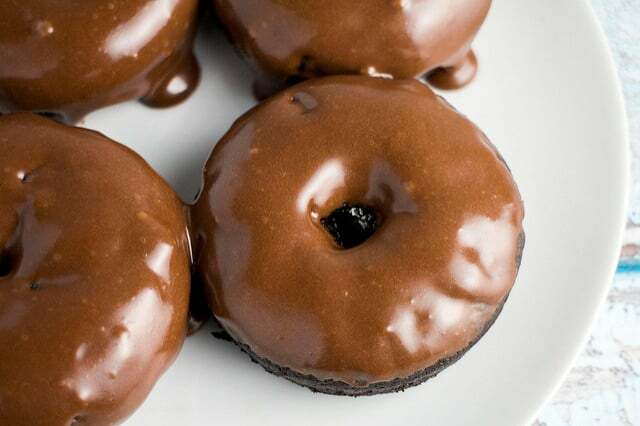 If you want to make them extra pumpkin flavored, you can add pumpkin butter on top too! 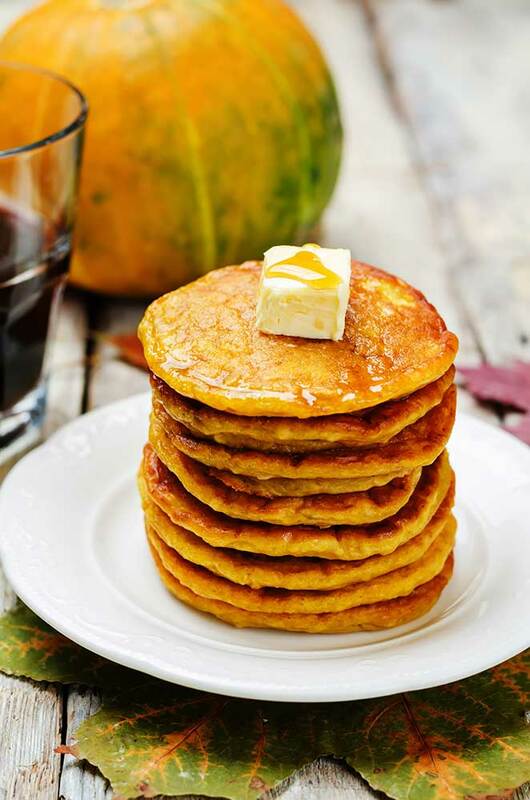 These pancakes are fluffy, moist and have a delicious pumpkin flavor and spices to take them to that next level. Pumpkin pancakes, I love you. Usually I will make a big batch of these by doubling or tripling the recipe to freeze for later. You’ll just need to throw them in a freezer bag to freeze. Then you’ll microwave them just like you do for any store bought frozen pancakes. Except these ones are so much better than store bought pancakes because they’re homemade! These pancakes are easy to make and are made just like traditional “from scratch” pancakes, with the addition of 1/2 cup pumpkin puree. After your batter is made you’ll want to spray a pan or griddle with cooking spray and add 1/3 cup batter per pancake. Then cook them for a few minutes on both sides until slightly light browned. I hope you enjoy these Pumpkin Pancakes soon! Looking for more pumpkin recipes? Try my Pumpkin Cookies and Pumpkin Pie! 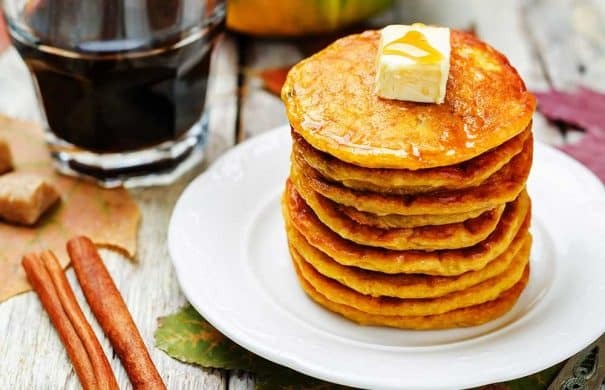 EASY FLUFFY Pumpkin Pancakes recipe! These delicious extra fluffy pancakes made from scratch are low carb and packed with protein (1/2 cup pumpkin!). They make a healthy substitution instead of buttermilk pancakes. My family considers them "the best pumpkin pancakes in the world!". In large bowl mix together flour, pumpkin pie spice, sugar, salt and baking powder. In smaller bowl mix eggs, butter, vanilla, milk and pumpkin. Add wet ingredients to dry ingredients bowl and mix until smooth. At this time if you think the batter is too runny, add a little bit more flour (1-2 tablespoons) until thicker. Spray pan or griddle with cooking spray and put on medium high heat on your burner. Add 1/3 cup batter per pancake, fitting in as many as can in the pan. Cook pancakes until golden brown and then flip to the other side. Enjoy - serve with butter and maple syrup. Sounds like you have pumpkins coming out of your ears, these pancakes look delicious!!! I was more than happy to search out this net-site.I wished to thanks in your time for this excellent read!! I definitely enjoying every little bit of it and I have you bookmarked to take a look at new stuff you weblog post. Pumpkin waffles are one of my families favorite breakfasts! I cant wait to try these. My husband loves pancakes, we make them for Sunday morning breakfast! Pinning for this weekend! I found you at the What’s Cookin Wednesday. Your pancakes look gorgeously golden and delicious! That’s my next weekend breakfast sorted! Thanks Sonya, glad you liked them! Pumpkin puree is not a high protein food.